Ottawa has been scandal-prone of late in its inappropriate use of taxpayer dollars. Here we have a story about the inappropriate use of government resources for partisan activity. Such abuse has come to light after documents were released under Access to Information. They describe a request from an official with the Vanier Liberal Electoral District Association for translation to Hélène-Louise Gauthier, the Director of HQ Accommodations for the Infrastructure and Environmental Operations Directorate for the Canadian Border Services Agency. This request from the Liberal Party was fulfilled using a Government of Canada email address. It is unknown if this was done on government time despite government resources being used to respond to the request. The translated document was the agenda for the 2013 Liberal Ottawa-Vanier AGM. A media firestorm broke out after it was revealed that the Prime Minister’s Office used taxpayers resources to make a political attack against the leader of Canada’s third party in Parliament, Justin Trudeau. Revealed via the Barrie Examiner, the attack was political but wasn’t done on behalf of a political organization outside of government. 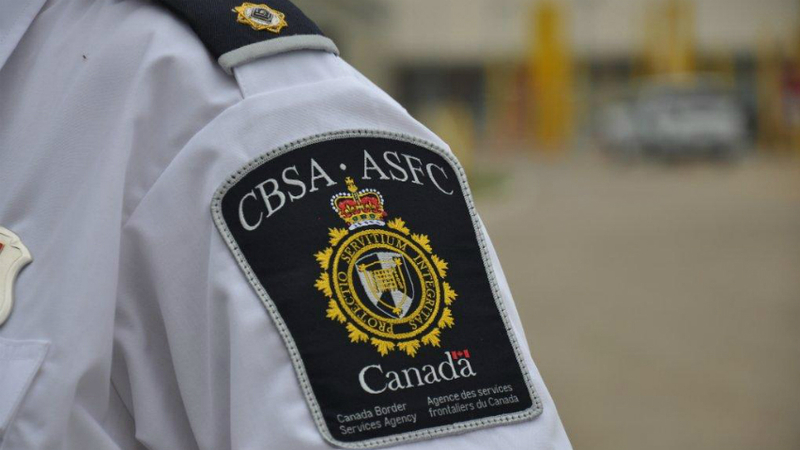 However in this CBSA example, taxpayer dollars were used directly to benefit the administrative goals of a partisan organization. And good for him. Today, the interim leader of the Liberal Party, the past leadership candidate for the same, and the former NDP Premier of Ontario announced that he won’t be seeking to make his current job permanent. No, Rae will not run to be leader of the Liberal Party and carry the Grits into the next election. In the end, he kept his word that he would not run, despite the fact that the party executive was ready to bend space and time in order to allow it. Why did he dance and skate, as he remarked, through so many scrums and interviews on his leadership intentions? Perhaps Rae recognized that despite its legacy status, Parliament’s third-place party had an uphill battle when it came to generating news coverage for its activities and positions taken in the House of Commons. If Rae were perceived to be a “lame duck” leader with no clout, the press would have just passed over him knowing that any of his pronouncements were temporary at best or lacked legitimacy at worst. By leading everyone on until now, it is certain that he was able to shine a brighter spotlight on his party. It won’t surprise you to hear that we at the National Citizens Coalition think that Rae made the right decision. While we do wish him well in his future life, if Rae were to become Prime Minister, it would have been a nightmare scenario. During a recession in Ontario, Rae worsened the province’s standing rather than improved it. The NDP has always feared Rae because of his cross-partisanship and ability to draw socialists and centrists together. A Rae leadership would have done more to unite the parties of the left. Even this week, Rae and Mulcair were singing from the same songbook when it came to bailing out Spanish banks and the Eurozone with Canadian cash. Throwing good money after bad is a hallmark of the worst in fiscal management. As Europe seeks to discredit capitalism by rescuing bad investments, flattening risk, increasing sovereign debt while thumbing their nose to calls for spending restraint on entitlements, an amalgamated Canadian left within striking distance of power would only embolden and encourage these instincts at home squandering our hard-won advantage. But Rae as Prime Minister, or now that he’s out, any Liberal for that matter? That is indeed projecting far into the hypothetical future. Indeed, the Liberals haven’t even found their foothold yet to rebuild their party to challenge the NDP for opposition status. But yet, that is the next task that they face. Rae’s exit will allow an open and fresh leadership race that won’t likely be haunted by any phantoms from generations-past. Granted, Justin Trudeau’s name carries a lot of baggage west of Ontario (and in Quebec) but with Rae out, we will likely see full generational change in the lineup of Liberal contenders. This will excite some Liberal partisans because the Liberal Party will be a blank slate, without foundational policy to anchor it in any way or another. This will also be to the benefit of other parties that will easily define the Liberal Party for their purposes as well. The Liberal leader was in Winnipeg on the weekend campaigning for Winnipeg North candidate Kevin Lamoureux when he accused the Conservatives of fighting dirty by running a Filipino candidate in the riding. Voters, he said, deserved “a straight-up fight” and not “a bunch of games.” He was apparently referring to speculation that the Tories were trying to weaken Mr. Lamoureux’s support by running Filipino Julie Javier in a riding that traditionally supports the New Democratic Party and which has a high number of Filipino residents. Once again, does anyone know what Mr. Ignatieff is talking about? Is he really suggesting that the Conservatives should have fielded a non-Filipino candidate to make it a fair fight for the Liberal contender? Is it his view that Ms. Javier is a fake candidate who has cynically offered her name to spoil Liberal ambitions and ensure an NDP victory? Mr. Ignatieff’s comments were an insult to voters in general and Filipinos in particular. To be fair, it doesn’t look like he anticipated the question, but the leader of an institution like the Liberal Party of Canada should be smarter on his feet. In the big leagues, you’re only allowed so many stupid mistakes. A Conservative Prime Minister stopped blocking the right of women to vote in 1919. Conservatives had the female cabinet minister in 1957. Lincoln Alexander was the first black MP in 1968, he was a Conservative. He was also the first black cabinet minister and served in a Conservative cabinet. Other Canadian firsts achieved by Conservatives? Conservatives elected the first Chinese Canadian MP, first Japanese Canadian MP, first Muslim Canadian MP, and the first Hindu Canadian MP. The best part? This “game” is less and less relevant in this day in age. Canadians elect members that represent them, but perhaps not in the way that Liberals have yet realized. Julie Javier, the Conservatives hope, will be representative of Winnipeg North. Not by her identity as per the Liberal “game”; if she is ultimately successful she will more importantly represent the values of the voters of Winnipeg North. While Conservatives can go toe-to-toe with the Liberals whenever they bring out the identity politics playbook, Conservatives win on what really matters in this day and age: the values a candidate brings to the forum. If you need any more proof of this, look to Jason Kenney’s work over the past number of years. And his critic in Liberal caucus? A fellow whose father defined many rules of the old game, Justin Trudeau. Media question: The race in Winnipeg North, there’s been some speculation that the Tories are running Julie Javier… because might siphon off Kevin Lamoureux’s strong Filipino vote allowing the NDP to win, what do you think of that speculation? Michael Ignatieff: Let’s not insult the voters of Winnipeg North, let’s give them a real choice – the right choice is Kevin Lamoureux. Let’s have a straight-up fight. Let’s not have any political games here. Let’s give the voters of Winnipeg North a clear choice. Kevin Lamoureux has 20 years of public experience… Kevin Lamoureux is the kind of guy who goes down to McDonald’s and holds clinics to help citizens with their problems and he’s doing it for 20 years. He’s the kind of guy Winnipeg North needs in the House of Commons and everything else is a bunch of games and we’re not here to play games, we’re here to win. Ignatieff talks a good talk about getting away from identity politics, asks for a fight on quality of the candidates and suggests that the press is trying to frame the fight inappropriately. This is a good sign. As for the Winnipeg Free Press? Terrible. Opinion of an exchange is healthy, but do make sure that it has foundation in fact. First, SUN NEWS is coming to Canada and is launching January 1st, 2011. Expect the CRTC to approve the channel to maintain its relevance (cabinet would likely overturn the CRTC if it objects). Though at the presser today it was suggested that Category 2 application will proceed if Category 1 fails. Next, the NDP has withdrawn from negotiations with the four parties on the release of the so-called Afghan detainee documents. The NDP says that the Liberals aren’t negotiating in good faith. The Liberals call the deal (sans NDP) a “surrender” for the government allowing Parliamentary review without government veto over sensitive information. More Parliamentary news has Sheila Fraser conducting a future global audit of MP expenses meaning that she will report on how MPs in general spend but will not delve into individual MP expenses. I heard of a poll suggesting that 98% of Canadians want the AG to look into MP expenses whereas 2% are opposed. Who knew that 1 out of 50 Canadians have contracts with the House of Commons? This was news to, well, those that produce. In more Liberal news, Michael Ignatieff is trying to keep to his goal of making it into the obscurity of summer while dodging rebukes from his own caucus. Take, for instance that three Liberal candidates have resigned in the past month. Never a good omen for a leader of a political party. A Who’s Who of Metro Moncton and, indeed, the province showed up and raised $35,000 for projects promoting increased literacy. And the crowd of about 500 attendees heard a ‘passionate’ speech by Justin Trudeau, son of PET. Trudeau told reporters he loves visiting New Brunswick whenever he can: “I love it here. The people are so nice and hospitable,” he gushed. But what was that grumbling behind his back? Highly respected attendees say the event could have raised a lot more than it did. . . $10,000 more. It seems that was the personal appearance fee young Justin charged local Liberals for his ‘passionate speech.’ Tell us again why he likes visiting . . . please! Justin is also available for sweet 16 birthday parties, club openings and bat mitzvahs. Please call his booking agent for details. “…je pense qu’une des grandes différences entre Ignatieff et mon père et là, je vais s?rement me mettre un peu dans le trouble, c’est au niveau de la force de son jugement. I think that one of the big differences between Ignatieff and my father, I’ll be surely getting myself in a bit of trouble here, it’s a level of the force of his judgment. With Ignatieff, he’s a bit all over at times. He says this, he says that, he contradicts himself. He doesn’t have the clarity that my father could have. Il a peut-être l’intelligence, mais il n’a peut-être pas la sagesse nécessaire. He maybe has the intelligence, but he does not have, maybe, the necessary wisdom. In my last post, I speculated that New Brunswick Liberal MP (and son of a former Governor General) Dominic LeBlanc would throw his hat into the ring for leadership of the Liberal Party. Today, LeBlanc became the first MP to announce his intentions to seek the leadership running between Ignatieff on the relative right and Rae on the left of the party. I’ve learned some other details about who might back a LeBlanc bid for leadership. I suggested yesterday that a Martin adviser such as Steve MacKinnon would back LeBlanc. With McKenna expected to remain outside of the race, I mused that MacKinnon may go LeBlanc. However, I’ve learned today that the former national director of the Liberal Party will likely back Ignatieff while communications gurus from Paul Martin’s PMO such as Scott Reid and Tim Murphy will be more likely to back the New Brunswick MP while a Liberal insider I spoke to expects John Duffy to go with Rae. If Ujjal Dosanjh enters the race (if he survives a putative court challenge for a recount), he is expected to do so for the purpose of gathering BC delegates for Bob Rae. 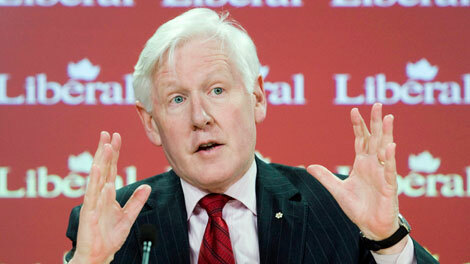 Conservatives and New Democrats I have spoken with have previously feared a bid by Bob Rae. Conservatives believe that Rae will unite and polarize the left while the NDP fears massive hemorrhaging of their membership for Rae. Recently, however, Conservatives are more bullish on their future against a Rae-led Liberal Party as the Global Economic Crisis has severely diminished Rae’s futures on the leadership market. Conservatives would easily remind Canadians of Bob Rae’s tenure during Ontario’s last economic recession and would make the case that Rae days would soon return. As for second tier candidates, Ruby Dhalla is considering a bid. Sources of mine in Brampton–Springdale have told me that even during the election (before the knives were in Dion’s back), Dhalla told Punjabi language radio that she would be running for the Liberal leadership. Dhalla is seen to be on the right-flank of the Liberal Party and backed Ignatieff’s bid during the 2006 leadership race so unless her candidacy caches fire, she may be building proxy support for the other Liberal professor. 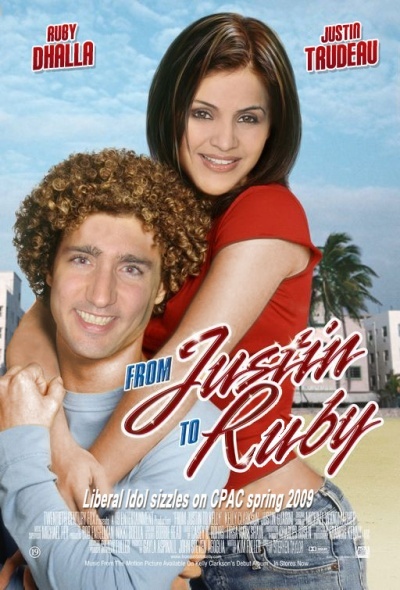 Woe for my love of a great comedy, Justin Trudeau is not expected to jump into the leadership race. Indeed, the son of the former Liberal Prime Minister has not yet got his feet wet in the House of Commons. Trudeau is expected to back LeBlanc as the current standard-bearer of the next generation of Liberal leaders. Trudeau backed former Ontario-cabinet minister Gerard Kennedy for leadership in 2006. Kennedy is testing the waters for entry into this contest, however, many believe that as Dion’s kingmaker, Kennedy may sit this one out to put some time between this aberration and his ambition. Yesterday, former Chretien finance minister John Manley tested the waters in a most self-deprecating way but found none to dive into as he metaphorically suggested. The author of the Harper-initiated Manley Report was seen by many Liberals as betrayal to a weakened, embarrassed and voiceless party on the opposition benches. Manley may find redemption in his party by organizing for a front-running candidate and this would have the benefit of keeping his name in the minds of Liberal partisans. Ironically, Dion’s election as Liberal leader may see more longshots enter this race. Ambitious Liberals with at least an ounce of name recognition may see a divided field and plan a run up the middle. LeBlanc’s entry into the race gains credibility because he is first to announce. Others may see that LeBlanc is planning a Dion-like charge up the middle as Dion had done and work to position themselves as a more palatable consensus candidate. Ottawa politicos are guessing that the field of candidates will be necessarily narrow due to a shallow and parched pool of donors. Since leadership contenders can carry previous debts into the next Liberal race, the Liberal base will again be tapped for sparse cash from not only the next crop making the case to be the Liberal Party’s next PM, but from those that are resume building and those paying down old debts during an economic crisis. UPDATE: Ruby Dhalla’s office contacted me and they would like you to know that Ruby Dhalla did not state that she was running for leader on Punjabi radio. So, for now it’s a matter of she said vs. they said. (UPDATE: I’m now concluding that these Brampton–Springdale sources are likely inaccurate. My sincere apologies to Ruby Dhalla on this point.) Also, Dhalla’s office wants everyone to know that the image above is doctored and that Dr. Dhalla did not pose for the photo. They asked that I remove it. However, I will not comply as the image is obviously W88satire. The word late tonight is that either Frank McKenna or Dominic Leblanc will be entering the race to replace Stephane Dion as leader of the federal Liberal party. McKenna has stated to friends that he’s not particularly interested at this time, and I’ve learned that McKenna feels that with the economy in its current shape, he doesn’t want to challenge Harper in the current economic climate (in other words, he doesn’t want to strike at the confidence of Canadians by challenging the PM’s direction on the economy as the head of TD Bank). A partner at McInnes Cooper, McKenna’s former law firm has confidence that McKenna will enter the race, however, others have told me that the former New Brunswick premier will not be leaving the corporate sector to rebuild a party’s finances and ideology from the ground up. This is good news for Dominic LeBlanc, who covets the top job of Trudeau’s party. LeBlanc would have likely deferred to McKenna if the elder New Brunswicker wanted to throw his hat into the ring. However, with McKenna not interested in the top job, this clears the way for Leblanc. If Leblanc enters the fray, I’m hearing that he’ll have the support of Justin Trudeau and the organizational muscle of Paul Martin’s team. Martin’s braintrust includes Liberal Party heavyweight Steve MacKinnon, who is close to McKenna. An alternative theory is that Leblanc is entering the race on McKenna’s behalf as a stalking horse to build the organization and team for a late entry by the former Premier. Trudeau and Kennedy to be blocked by Dion? I’m hearing that Justin Trudeau may face an interesting challenge partially originating from the Liberal leader Dion if the son of the late Liberal PM seeks nomination in Jean Lapierre’s riding of Outremont. Apparently, at least eight people have expressed interest in the nomination and among the eight is Brigette Legault (VP on Liberal Party Executive). Rumour is that Stephane Dion may end up trumping the young Trudeau’s bid by enforcing a policy ensuring that the Liberal party slates 33% female candidates for the next federal election. Outremont may be selected by Dion as a riding to be contested by a female candidate. Legault is said to be actively campaigning, emailing Outremont Liberals for their support. As a member of the national executive, she brings significant Liberal support to the nomination race and may try and use Dion’s promise to leverage a win over Trudeau. Speculation is also swirling around the riding of Parkdale High Park where Gerard Kennedy is reported to be interested in running. Again, a female executive member of the Liberal Party is eying that riding and may also receive Dion’s go ahead for that nomination. Elaine Flis is the VP for communications for the Liberal Party of Canada and is looking to secure the nomination from Kennedy. Will Dion stick to his word by securing 1/3 of the candidate positions for women even if this comes at the expense of Trudeau and Kennedy? Or will Dion break his word and make these high profile female candidates select other ridings to contest? UPDATE: Some commenters have pointed out the awkward nature of the last paragraph. It’s a false dichotomy. So let’s simply frame it this way: Will Dion stick to his word by securing 1/3 of the candidate positions for women even if this comes at the expense of Trudeau and Kennedy?